HA NOI — World-renowned bubble artist Fan Yang, who has enchanted audiences all over the world with his unique and fantastic shows combining lasers and music, has returned to Viet Nam to dazzle spectators. 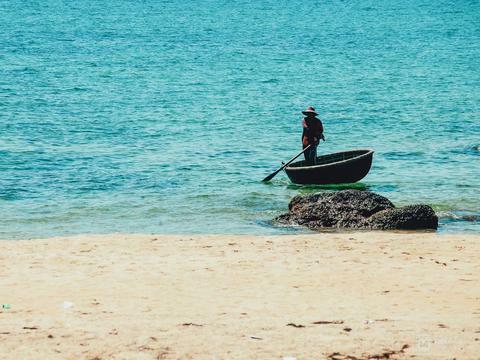 The Vietnamese-born Canadian artist will perform at Yen So Park – the largest park in Ha Noi located in Hoang Mai District. “I decided to work with real estate developer Gamuda Land to turn Yen So Park into a magical land of bubbles. I want to draw local people, especially children, to the airy and green space,” said the artist, who has been dubbed "the bubble witch" by the media. From now until mid-April, Fan Yang will blow park guests away with his show The Legend of Bubbles. 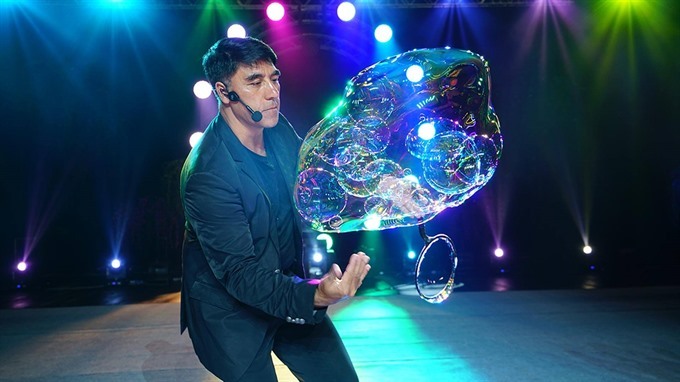 Beautifully choreographed to music, his shows captures the imagination and explores new ways to create, celebrate and manipulate bubbles of all shapes and sizes. Holder of 19 Guinness World Records, Fan Yang has been acclaimed for transforming a simple bubble into a beautiful piece of art, pioneering bubble media as a performing art. His 18th Guinness World Record was won for putting 181 people in a bubble at Science World in Vancouver, Canada.